We value our patients and clients, and we appreciate the role we get to play in your pet’s health care. 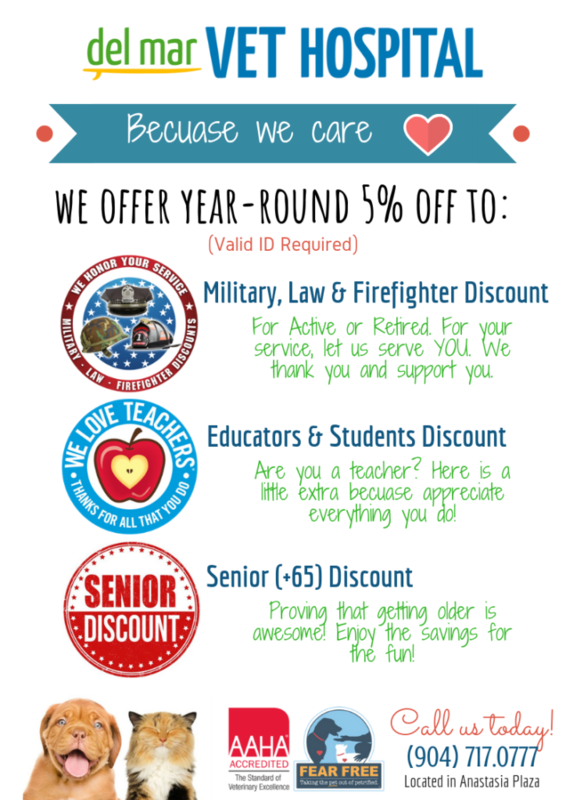 As our way of saying thank you, check this page for different specials that will help you save on services and products. Whenever you see a special offer on this page, print it out or show it to us on your phone. Make sure to take note of the expiration dates as we change our special offers from time to time. 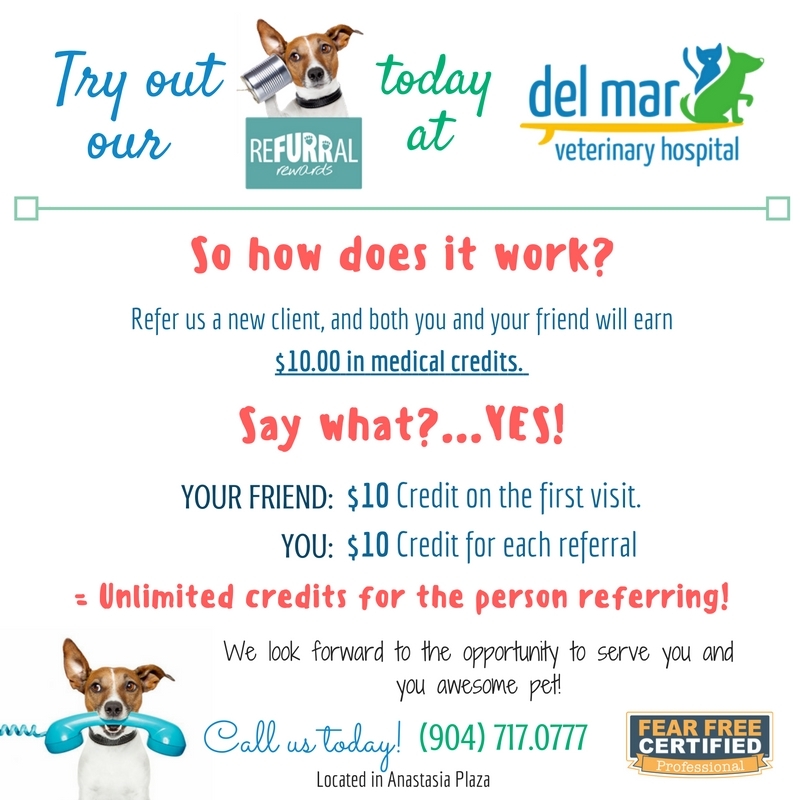 Again, all of us at Del Mar Veterinary Hospital want to thank you and your pets for being a loyal member of our community. We are grateful that you have chosen us as your pet’s health care provider. Take advantage of our great referral program. Both you and your friend will receive a $10 credit on your account. There is not limit on how much you can earn! TruPanion has a FREE 30 day trial policy. Sign up at our hospital immediately after your pet is examined by our veterinarian. No credit card needed for the 30 day trial policy. Your pet is immediately covered (no waiting period) while you investigate purchasing a policy. Click HERE for more information.